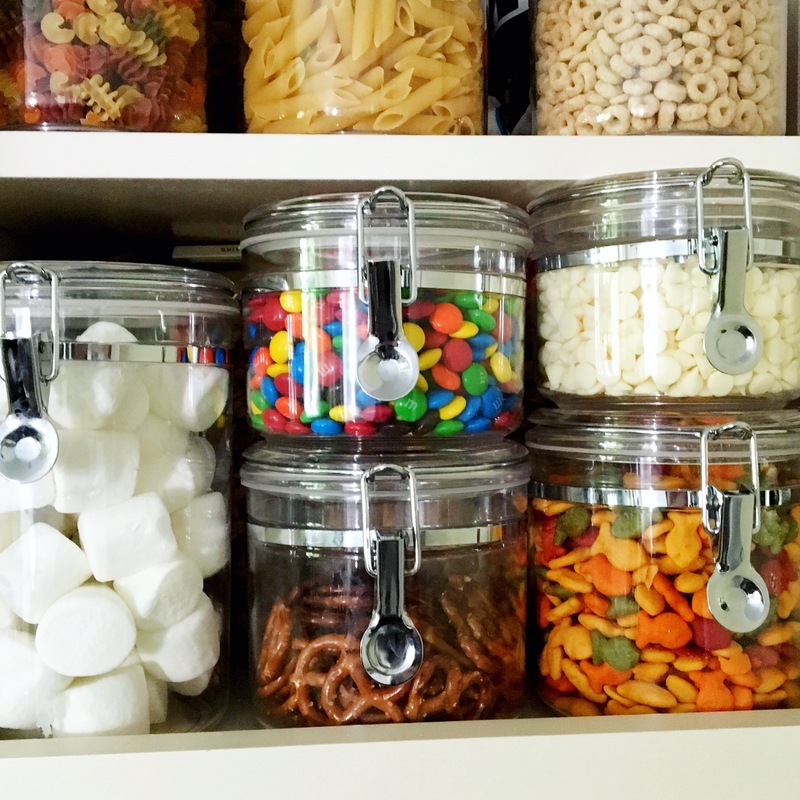 If your family is anything like ours, having your children home more in the summer means so many awesome things, but it also means needing to constantly have the kitchen stocked with easy-to-reach, kid-approved snacks. My girls usually hop in and out of the backyard pool a billion times, and in between those dips, they find themselves painting with watercolors and riding their scooters in the driveway, and all of this must work up an appetite, because they are also making multiple trips inside the backdoor of the house and into the fridge and pantry. I typically find myself ‘spring cleaning’ a little late into the game, once the school-year is complete and summer break officially starts. This kickstarts me into a more organized mom and human, and I kind of love it. 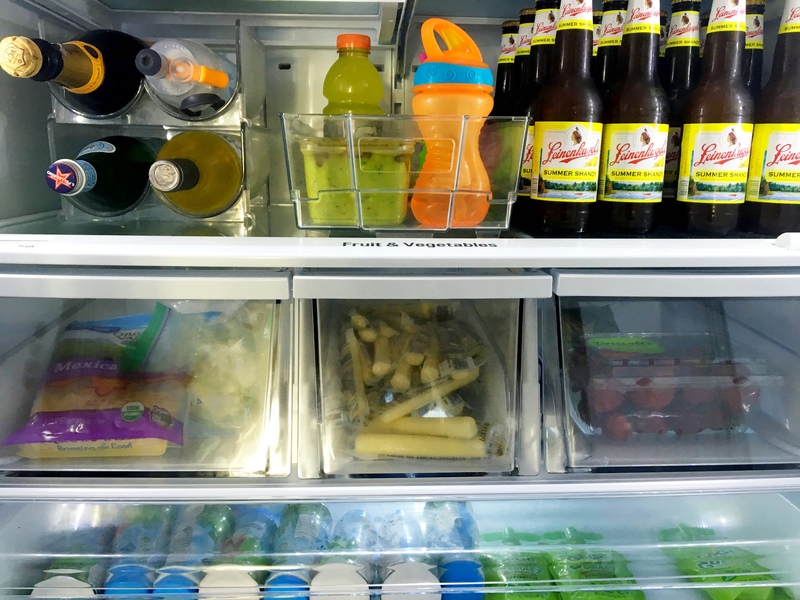 This year, we got a new fridge, so even more reason, and room, to keep things tidy. 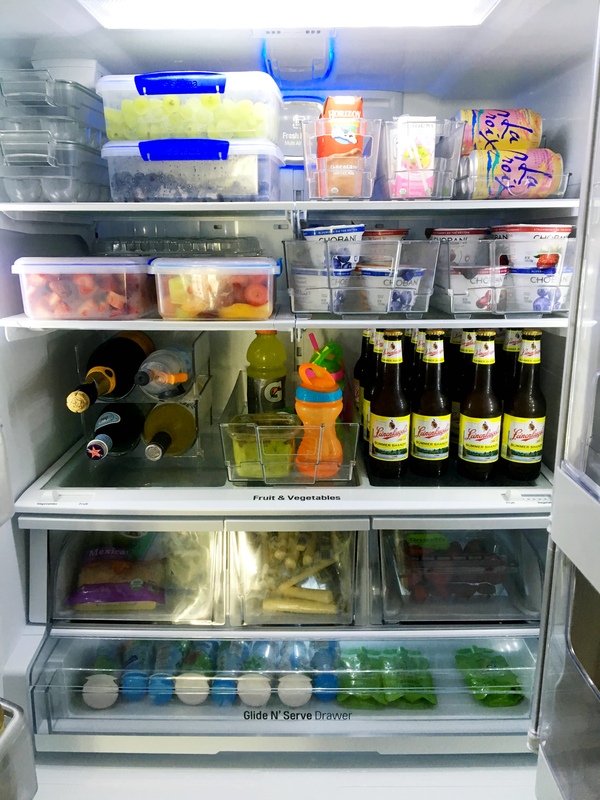 I wanted to share all of my favorite storage and organizational products that have helped to keep order in my kitchen, and therefore, in my life. 1. 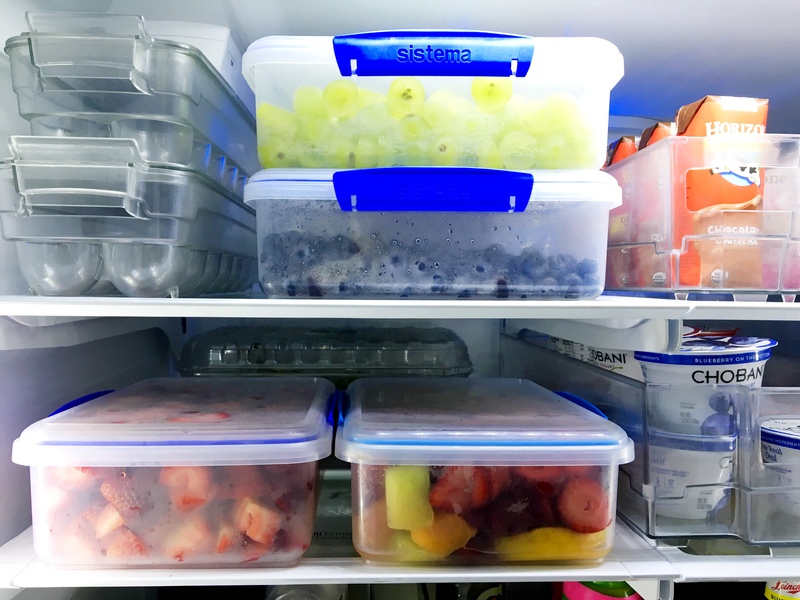 These bins are the perfect system to organize all of my refrigerated items, making it easy for my kids to see what snacks are on-hand and making it easy for me to see what we are running out of when I head out to the grocery store. 2. For those few bottles of sparking water or white wine that are just a tad too tall to stand upright. 3. 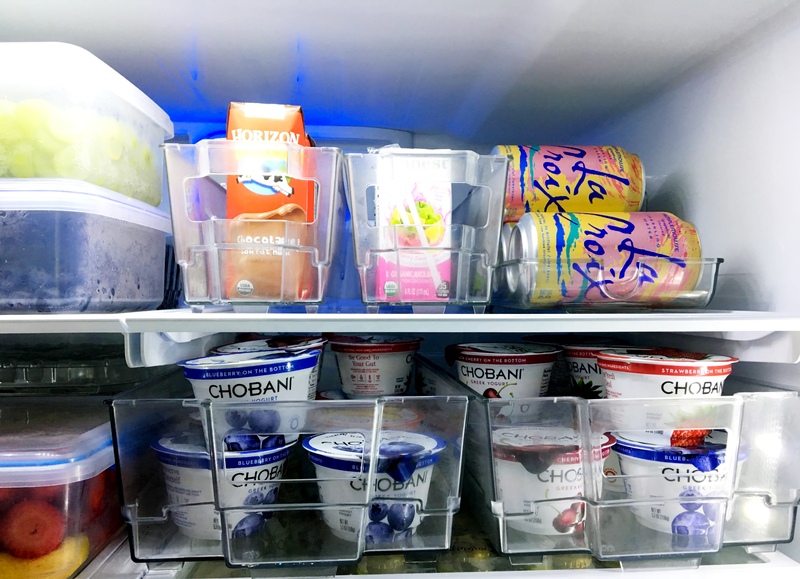 I love that these clear containers are acrylic, not glass, and that they store all of our goodies with an airtight seal, so that everything stays fresh. We use them for cereals and pastas, along with snacks that usually come in messy plastic bags. *(these reusable labels come with a chalk-ink pen and were perfect for labeling those items, like baking ingredients (think flour, sugar, light brown and dark brown sugars), and assorted chocolate chips that might look the same (think milk chocolate, semi-sweet, dark chocolate, etc.). 4. A generously sized serving platter in my favorite color that is completely unbreakable. Win, win. I use this a lot for cut-fruit in the summertime, both indoors and out. 5. 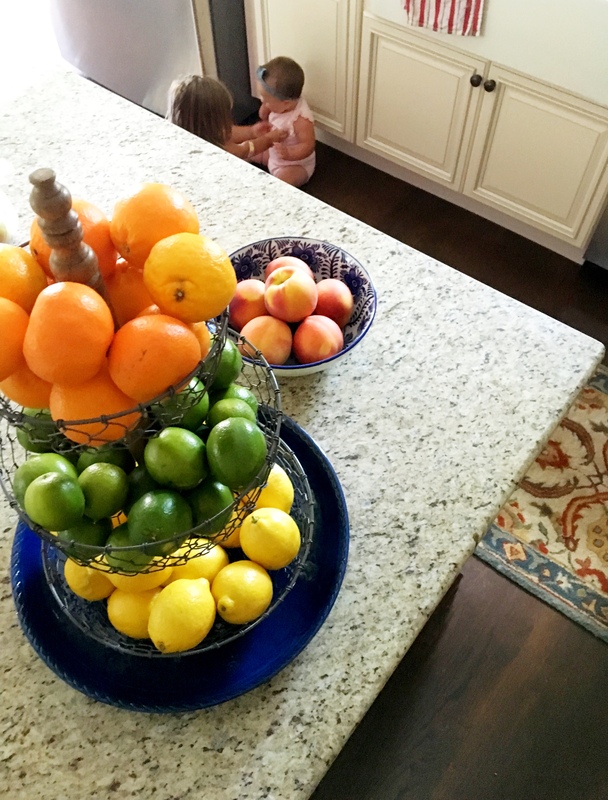 The mesh allows everyone to see what’s inside and it’s perfect for grabbing fruit on-the-go. 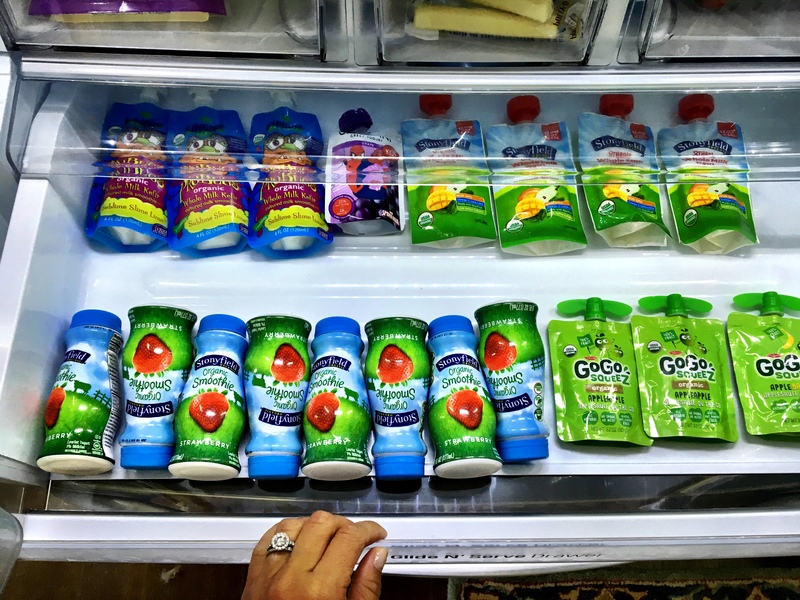 When healthy produce is there and easily accessible, my kids will eat it. 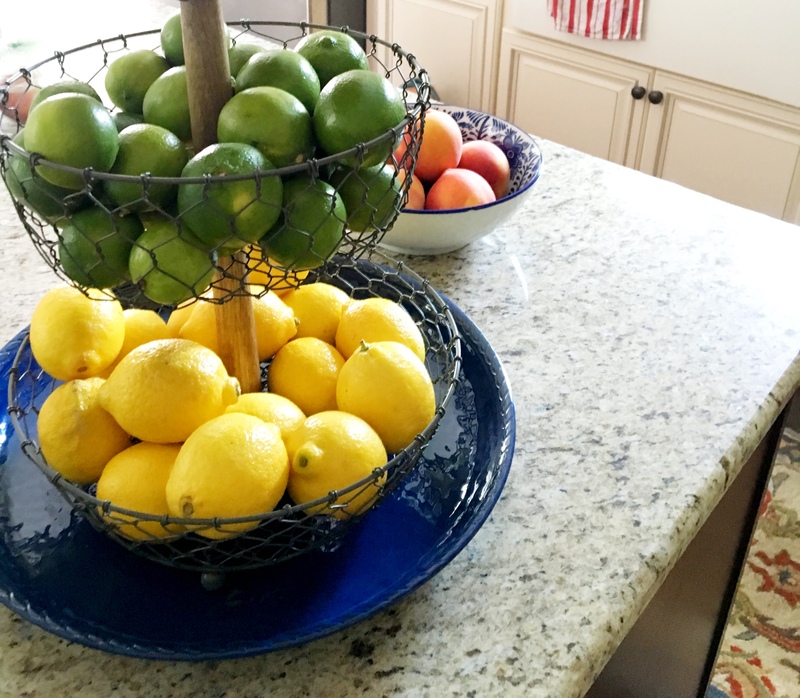 I got my fruit-stand at Home Goods, but can’t seem to find the exact one online. Shop similar ones here and here. 6. 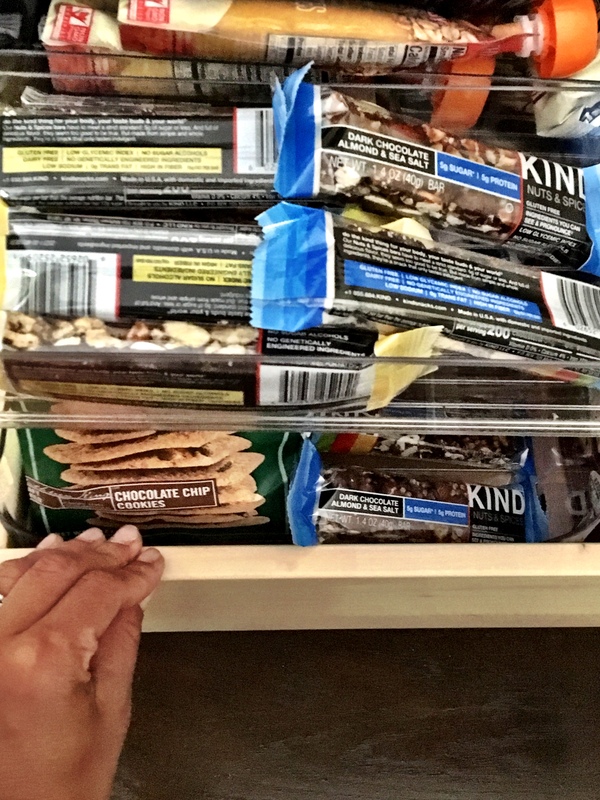 These are probably my kids’ favorite because they neatly store packets of snack-sized goods, like fruit snacks, individual packs of cheddar bunnies, and pretzel chips. 7. 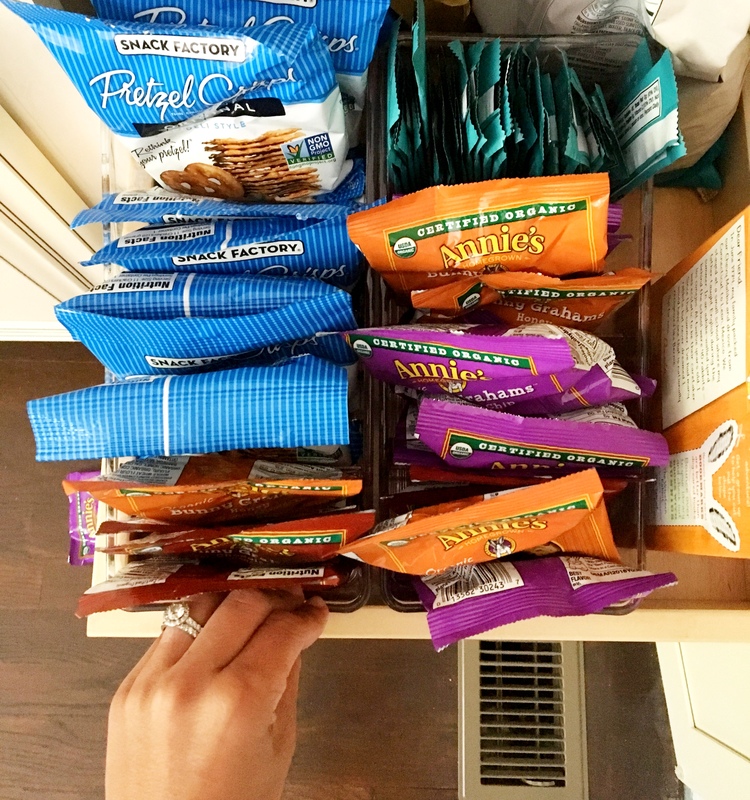 We use the Cabinet Binz Spice Rack for nutrition bars and cans of soup. 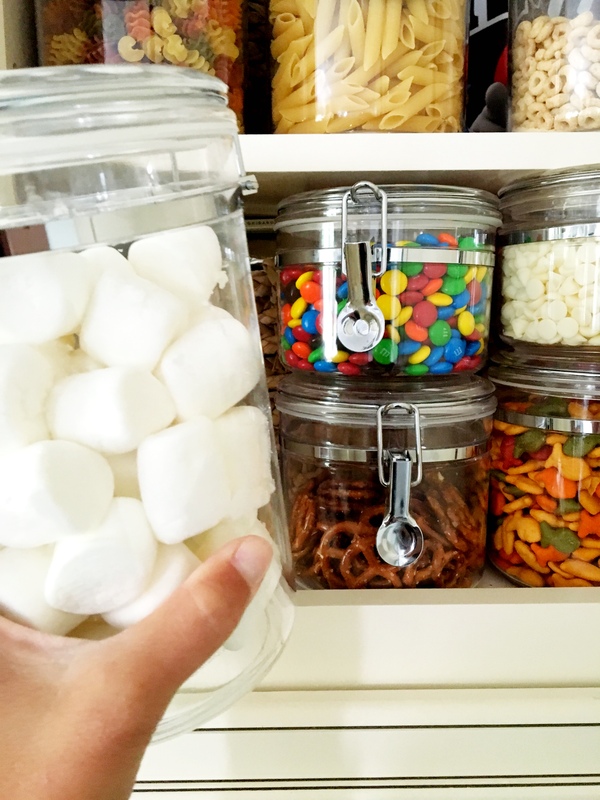 It fits nicely in our pantry and keeps everything in place. 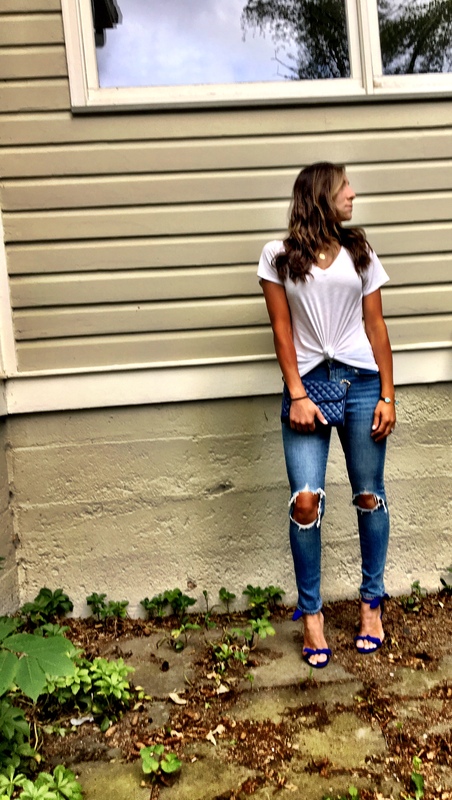 In the handful of must-have closet staples, a classic pair of denim that you know you will have for years, is usually at the top of the list. 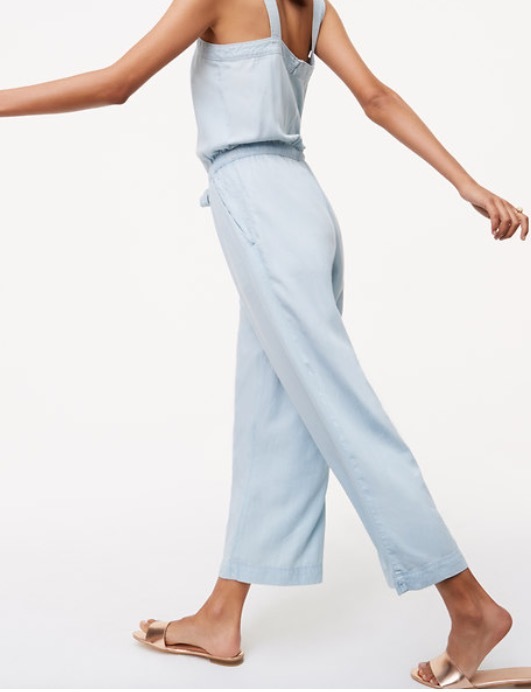 I don’t wear a ton of long jeans in the summer, opting for lightweight dresses instead, but these caught my eye while searching Bloomingdale’s online recently and I decided to give them a try. They are priced under $100 (on sale now for only $61!) and the high-waist is probably my favorite part. 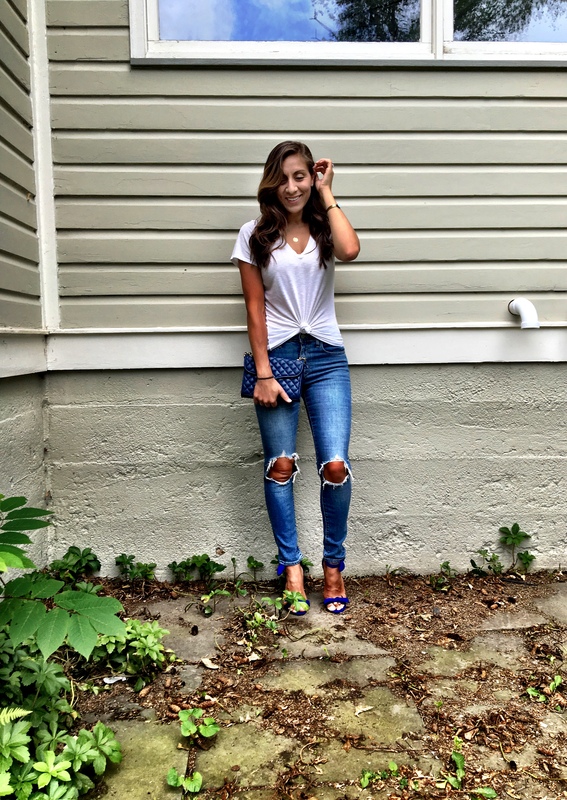 Perfect for cropped tops this season and knotted front tees. They are not too distressed, but the matching rips in the knees gives them a worn-in, vintage feel. These fit true to size and instantly felt like I have had them for ages. And the faded blue color is perfection. 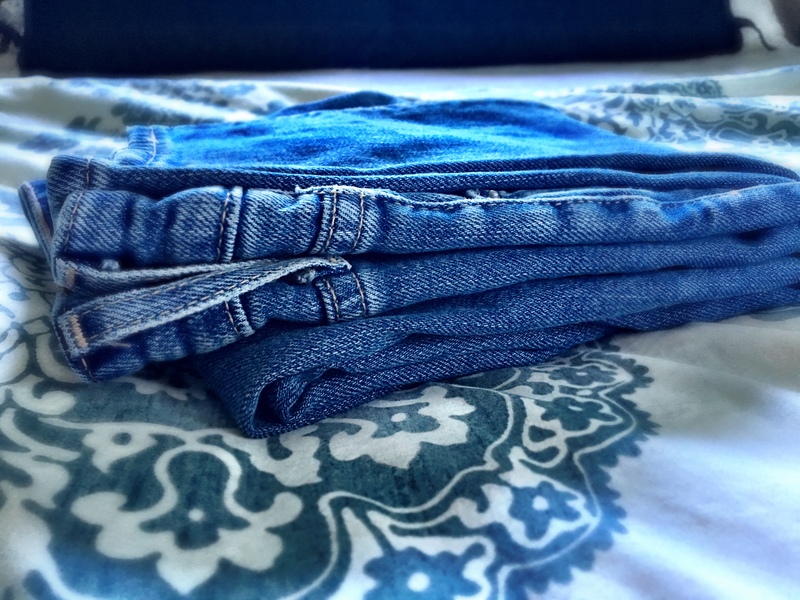 Just the ultimate pair of jeans that, although my collection is full, were somehow missing from my wardrobe. 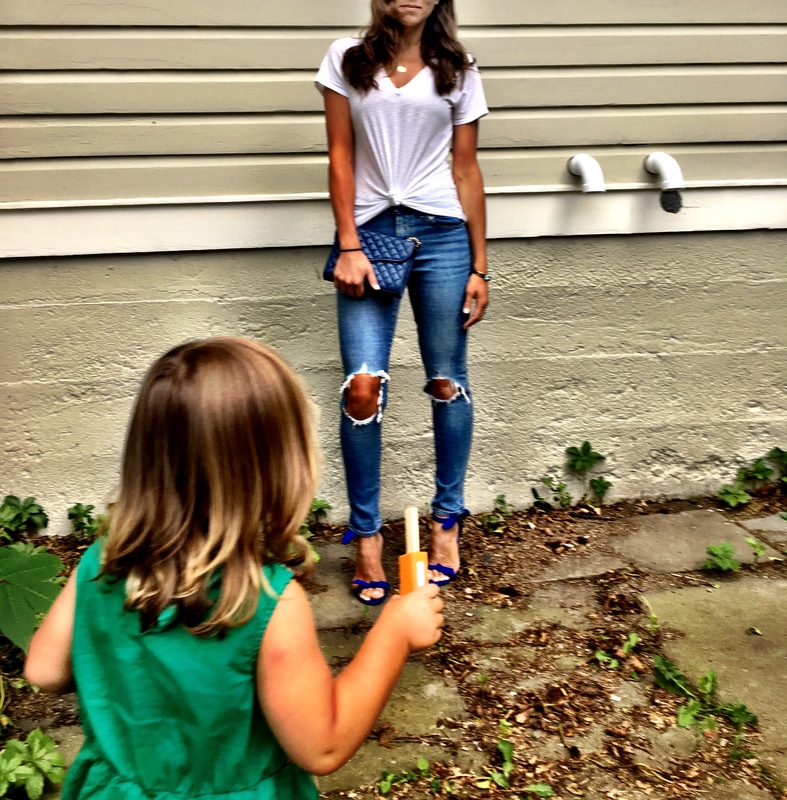 And as long as my kids don’t manage to permanently damage these with paint, juice, food…the list goes on…this is a pair that I plan to wear for a long time knowing they definitely will not go out of style. 1. Can’t beat the front tie or the price of this bathing suit. 2. Staying on trend with an off-the-shoulder shirt. 3. Don’t know if I love the cut-out shoulders or the tie back the best, but this dress is a go-to for summer. 2. Classic swimsuit in my favorite combo, blue and white. Hoping everyone had a great Father’s Day weekend last weekend, celebrating with all of the fathers or father-figures in your lives. Our day was a low-key one spent with my mom, dad, brother and husband, grilling in our backyard and watching the girls splash around in the pool. Doesn’t get much better than that. And this week was the start of camp for my oldest daughter, with lots of time on the tennis courts, in the pool and on the golf course, so summer now officially feels in full swing. There are certain prints that are synonymous with summer and gingham is one of them. I love how the print shows up in so many places, yet feels fresh each time. One of my most-worn shirts of the season so far is an off-the-shoulder top in a black and white gingham print from Loft, and the best part is how easily the print can go from casual to dressy. I like to pair it with sleek skinny jeans (in black or white) and these earrings for a night out. Or with these white shorts and sandals in the daytime. 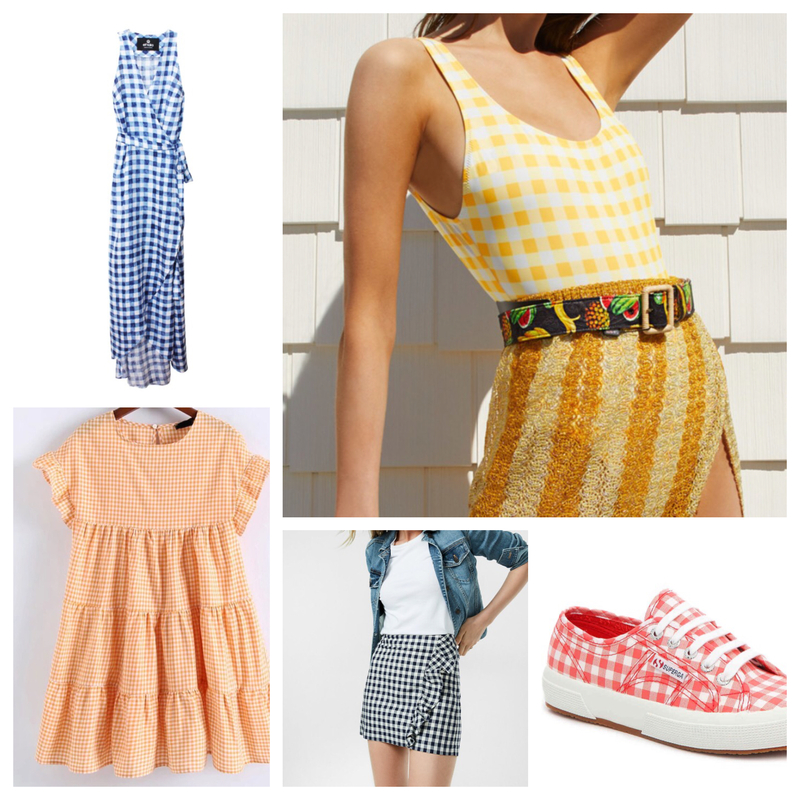 I rounded up some of my favorite gingham pieces that I either currently have or currently have my eye on for this summer. 1. Same print, dress up a bit. Great for summer weddings. 2. Love the fun yellow one-piece for a weekend at the beach. 1. Ruffle cuff gingham tiered dress in a pretty peach. 2. Gingham and ruffles seems to go together, but seriously, how cute is this skirt? 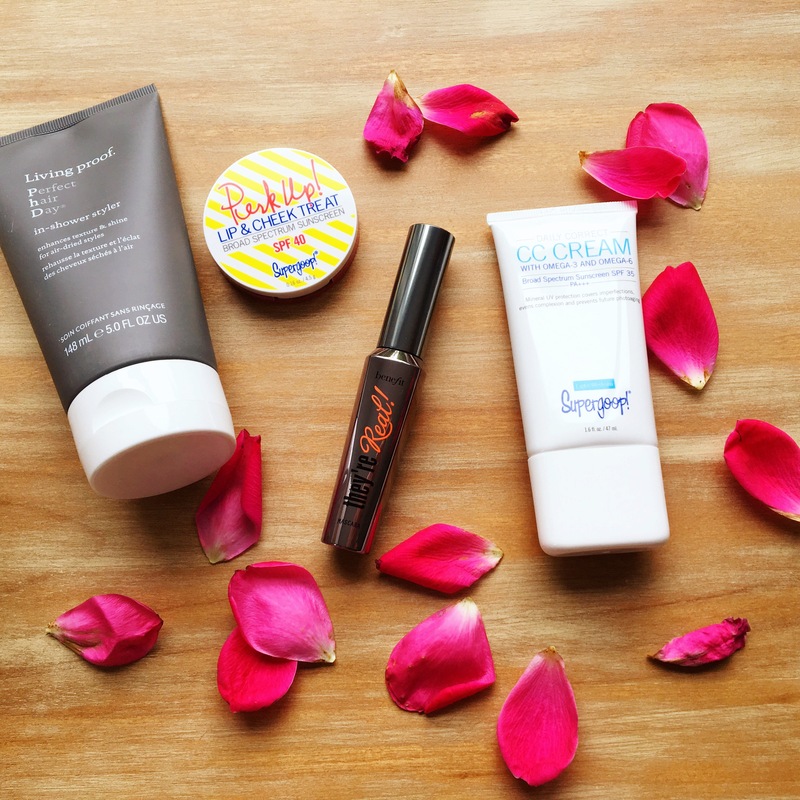 My summer beauty routine is short and sweet so that I can savor all of the moments this sunny season has in store while feeling my best. 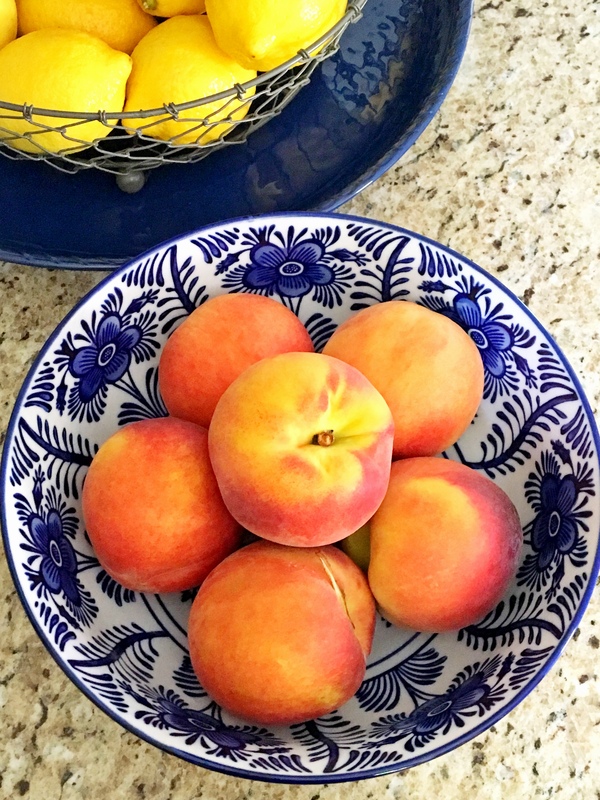 Even though I like to spend minimal time on my beauty regimen in the summer months, I still like to look refreshed and pulled together, so I’m always ready to go for impromptu barbecues and get-togethers. We are pretty much outdoors from morning till night, playing in the backyard, splashing in the pool and having dinner al fresco, so I don’t usually wear makeup, but this lightweight tinted correcting cream with SPF and UV protection gives just a little more than sheer coverage and doesn’t look or feel heavy. 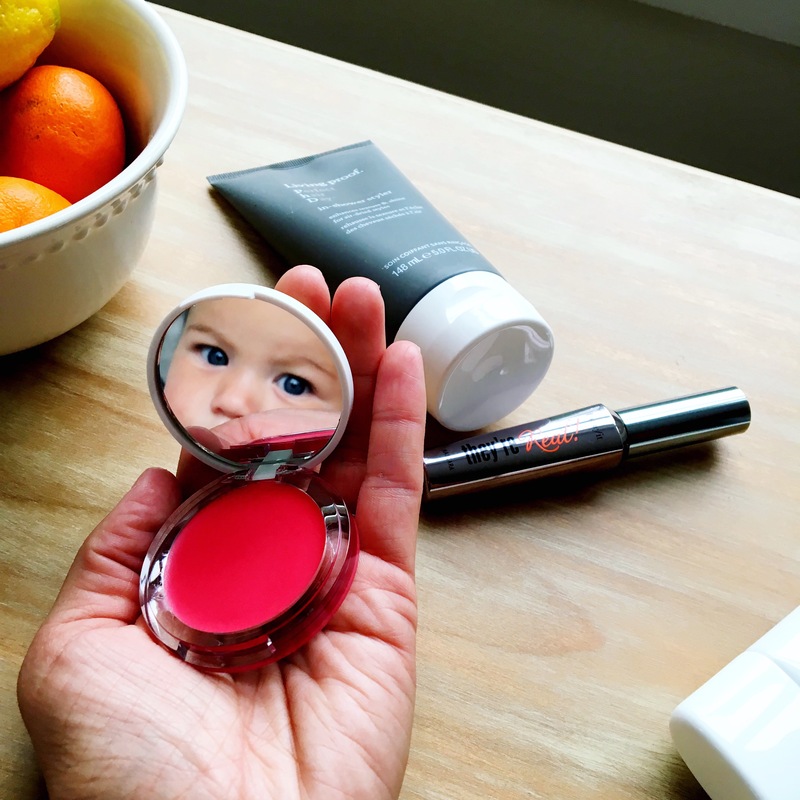 I love using this deep pink tint on my lips and cheeks with or without any other makeup. It just makes me look awake and energized, and the color is perfect on any skin tone. The one thing I literally cannot leave the house without, any time of year, is mascara. And I have been a die-hard fan of this one since it first came out. I have worn it every day for years now and I still continue to get questions about it and compliments on it over and over again. My hair, sadly, is the part of my beauty routine I spend the very least amount of time on. 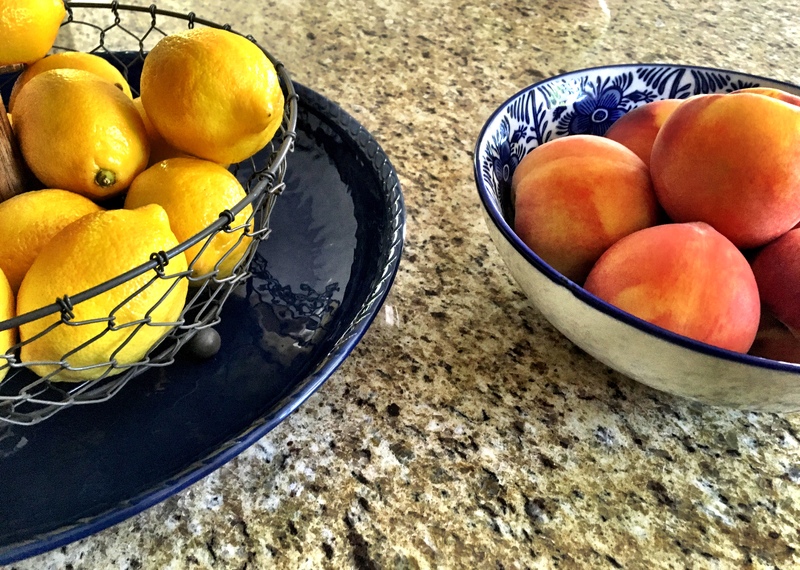 If you know me well, you know I don’t own (and have never owned…oops!) a blow dryer. True story. I air dry my hair after every shower and wear it au natural. So, that’s a huge time-saver (and strand-saver). But I recently stumbled on this in-shower styler and thought I would try it out to give my straight hair, with subtle waves, a boost. And there you have it. 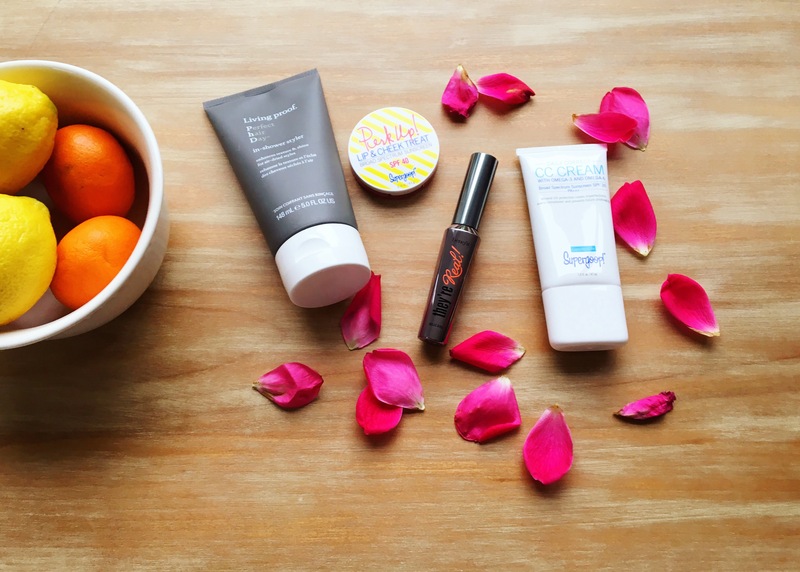 A simple, four-product beauty routine that is summer-approved. 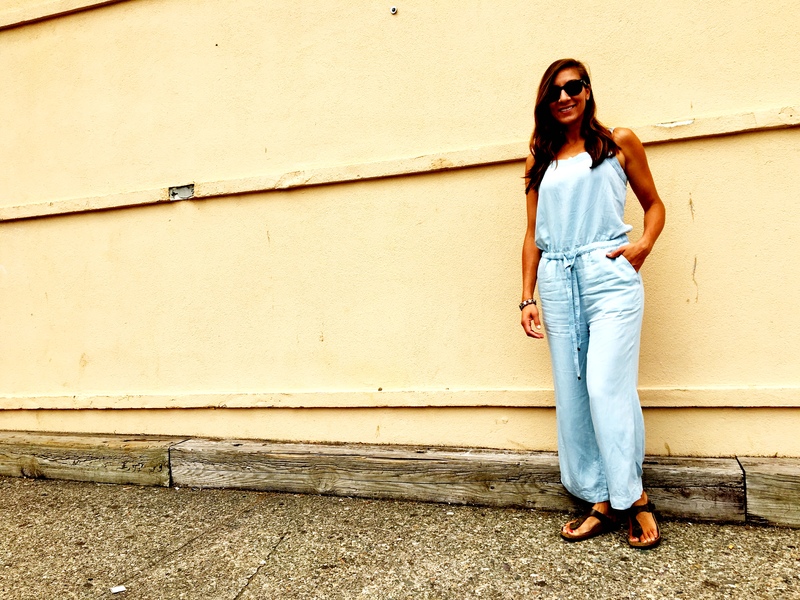 The jumpsuit has been trending for a while now, but I just recently took the plunge myself. This style, although it always looked amazing on others, was a bit out of my comfort zone and just plain intimidating. But once I finally tried one on, I realized they are also flat out flattering, so easy to wear, and so, so comfortable. I’m talking pajama level comfort. 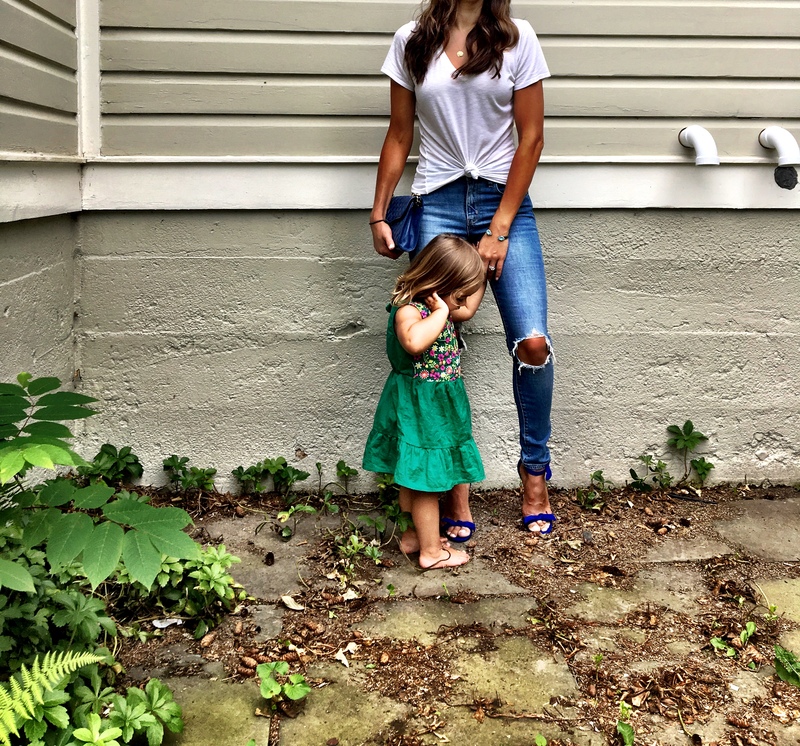 I am loving this super soft chambray one from Loft. 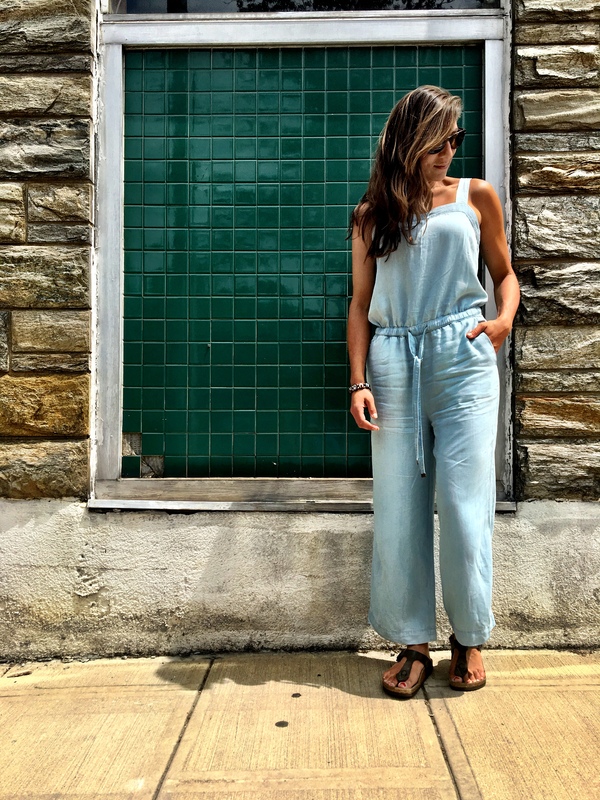 It is the perfect lightweight piece for these warm summer days and the color is the prettiest faded blue. 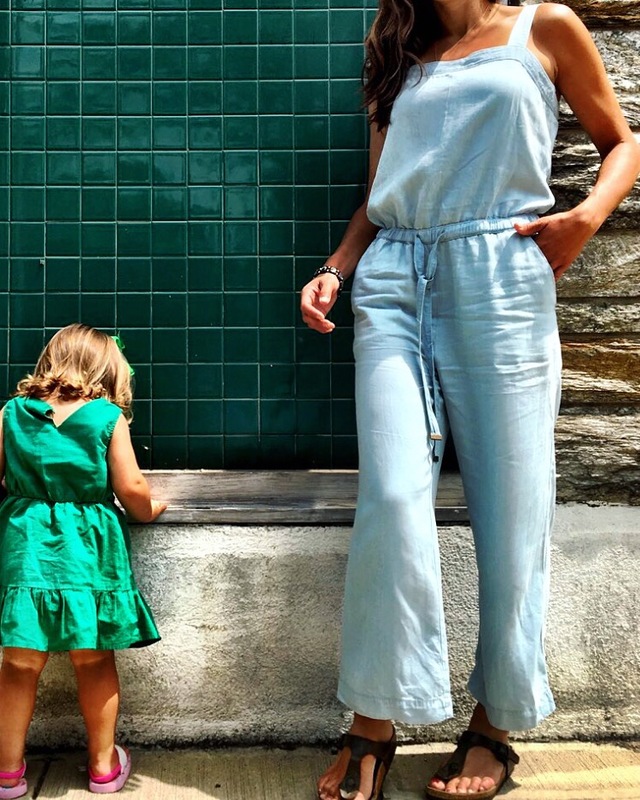 Jumpsuits have the same ease of a classic summer dress: no need to scramble to find a top to match bottoms, it’s just a grab-from-the-closet-and-go outfit that still looks cute and pulled together. 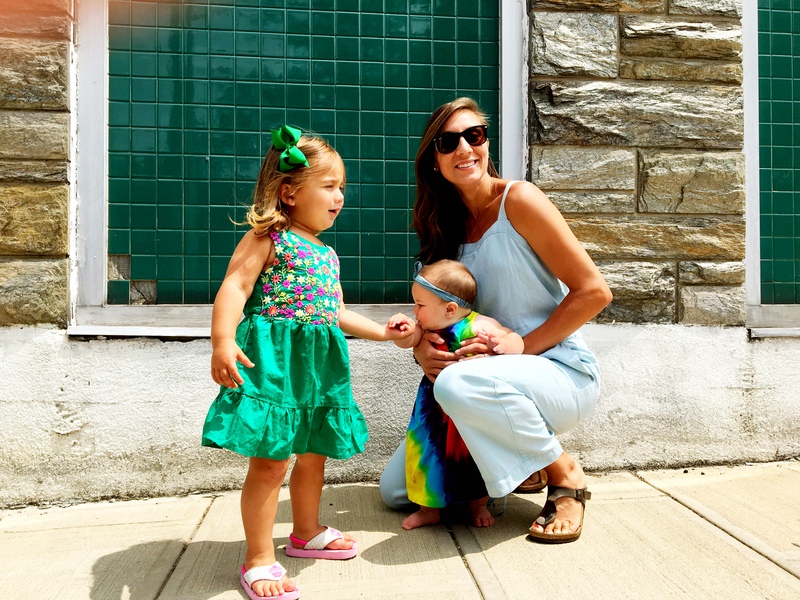 Also, here are three of my favorite jumpsuits right now that cover everything from lounging around the house, to a chic daytime look and a fancier night out. 1. 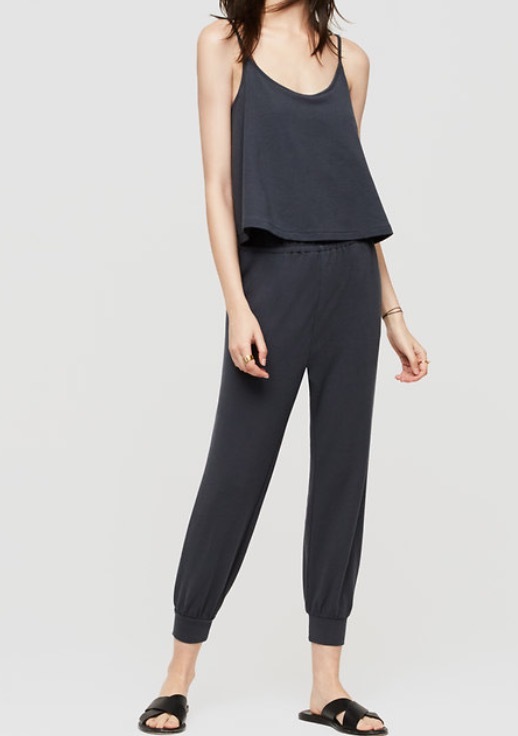 I am loving this for rainy summer days, lazy mornings at home, or casual errands about town. Also, a perfect and put-together travel outfit. *40% off with code NEWNOW at checkout! 2. 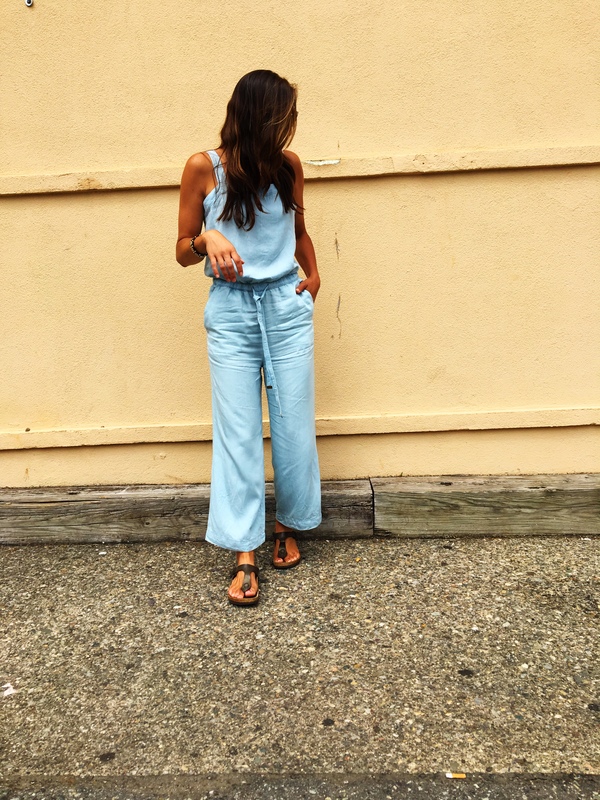 So lightweight and comfortable, this chambray jumpsuit is too good. I will be wearing this well into the fall with a knit cardigan or a white sweater over top. *40% off with code NEWNOW at checkout! 3. Perfect for a night out. The stripes and colors have summer written all over them. Super flattering cut. Just add heels. And a cocktail. *Free shipping and under $70!